Mississippi at New Orelans, USA. The air is steamy with the whiff of Caribbean spices and the Louisiana swamps. Breezes from the muddy Mississippi stir languidly down streets oily with heat. Music oozes from every building. The booze flows and the jazz bars never close. 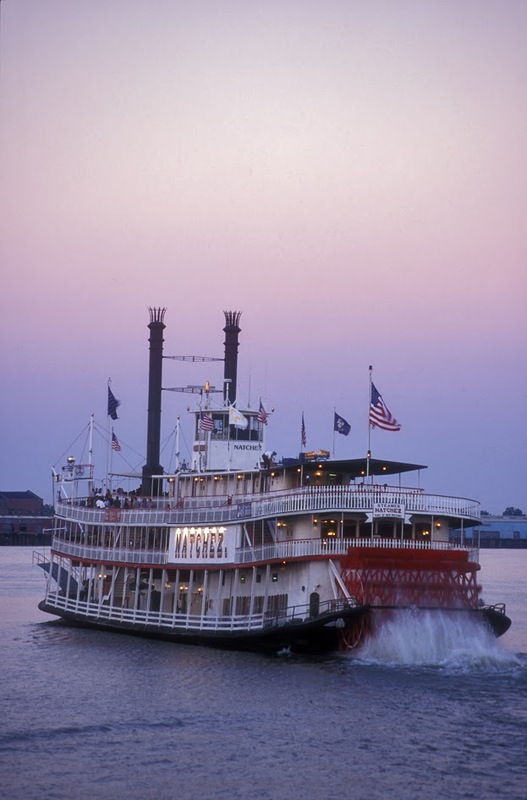 Laissez le bons temps rouler say the locals: let the good times roll. They say it in French and it doesn’t seem odd here in the middle of America. New Orleans is like Europe, the Americans claim: it was created by the French and Spanish and largely insulated from the puritan culture of the northern states. But African and Caribbean influences are strong too: voodoo beads click from darkened shops and fiery chillies lurk in rich stews. New Orleans is unlike any other place in America: chaotic, slightly seedy, unkempt, full of character. It has a reputation for debauchery and decadence, and the people are indulgent and sensual. This is the Big Easy, steamy, seductive and occasionally shocking. Napoleon House in the French Quater, New Orleans, USA. The original heart of New Orleans, on the banks of the Mississippi River, is the Vieux Carré (Old Square), or more colloquially the French Quarter. Although the streets here were laid out by the French in the 1820s, the architectural influences you see today are largely colonial Spanish mixed with a distinctively Caribbean flavour. Its residential streets have a slightly haunted, melancholy air and are full of historical oddities and elegant houses. Garden courtyards overflow with banana trees and trickling fountains, while villas proudly display wrought-iron balconies fine as Spanish lace. As the pale morning light comes up above the river metal shutters crank up and locals come out for a breakfast of red-bean omelette just as party-goers are staggering hotel-wards. Strange smells waft out of the voodoo shops, where you can pick up Fix the Boss powder and Come to Me oil. Jackson Square, New Orleans, USA. 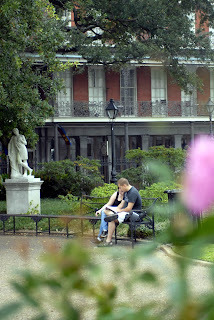 Down in Jackson Square in the afternoon you can sit at a café table drinking chicory coffee laced with hot cream. As you munch on another sugar-coated beignet (a type of doughnut) you can watch the fortune-tellers and ‘living statue’ buskers earn a few dollars around the real statue of President Andrew Jackson, seated grandly on a horse. Later in the evening down a side street you might hear the mournful note of a clarinet playing What a Wonderful World from behind a window. It’s easy to be seduced by the music and merriment of the French Quarter, but it would be a mistake not to head south to the Garden District before you leave. This too is an historic part of town where the architecture has been carefully preserved. In the years after the Louisiana Purchase the Garden District was settled by wealthy Anglo-Americans who displaced the Creole population and gave it a distinctively different flavour from the French Quarter. Amble around the streets and you can soak up the genteel atmosphere of the American South. Spanish moss hangs in eerie hanks from oak trees and cemeteries boast baroque mausoleums and teetering tombstones. Georgian and Italianate mansions slip into elegant decay behind gardens of jungle lushness. One the facades of these houses balconies erupt like decorations on a wedding cake, while verandas and porches offer cool shade. 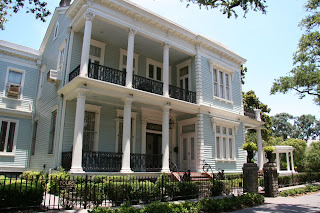 You wouldn’t be surprised to spot Scarlett O’Hara sitting out on a porch sipping a mint julep – and indeed one of the houses on St Charles Avenue is a replica of Tara from Gone With the Wind. The Elms mansion, New Orleans, USA. The Garden District has the sort of dilapidated grandeur and historic melancholy that has inspired generations of musicians and writers. Tennessee Williams caught its essence, and you can still ride the streetcar along the St Charles line, although it’s no longer called Desire. 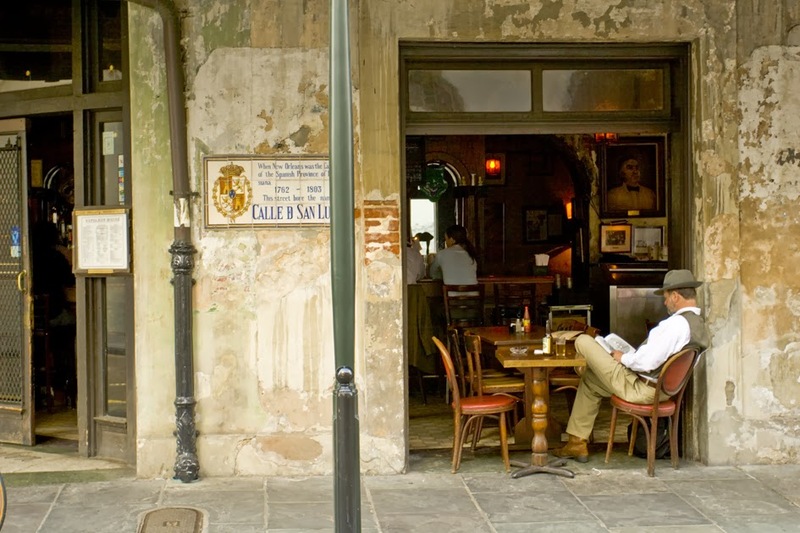 A pity: desire is something that coils down New Orleans streets like its summer heat. You feel it in the nostalgic hankering for history; you taste it in the rugged spiciness of Cajun cuisine; you hear it in the haunting notes of a saxophone that spills out the door of a honky-tonk bar. 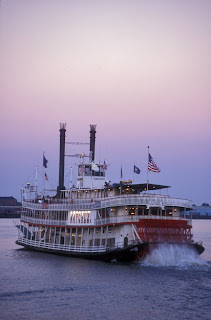 Sit back and absorb the magic, and New Orleans will seduce you. Stay tuned: we’ll shortly be adding more on New Orleans, with a look at its music and nightlife. If you’ve been to New Orleans and have something to add, please do so. Our readers appreciate your tips and memories.